Instead, they just said, “hey, here’s the guy who love, and if you want an explanation that’s too bad.” Then they crafted one of the best superhero movies of all time. Can they do it again with Deadpool 2? 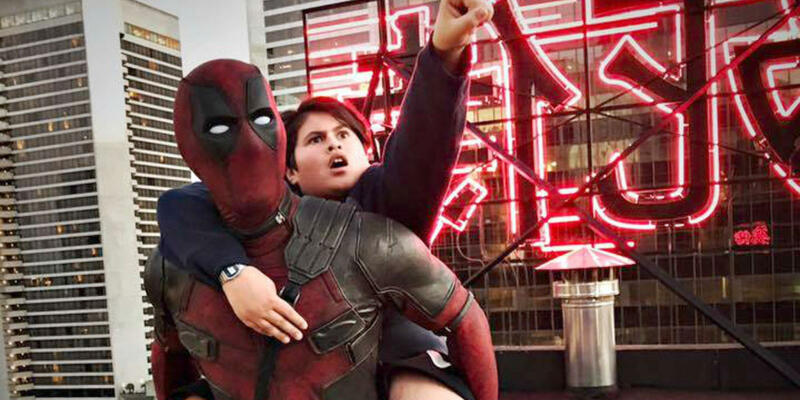 Deadpool 2 picks up where the original Deadpool left off, with Deadpool taking his super-assassin, fourth wall breaking, wise cracking antics around the globe, fighting bad guys, I guess, and still romancing his girlfriend. Naturally, things can’t stay that way because even though a movie where Deadpool fights crime around the globe might be amusing, this one still aims for a smaller budget and a smaller world, which is fine. Eventually he focuses on trying to save a mutant kid named Russell with the unfortunate nickname “Fire Fist” who is destined to become a crime lord in his own right, so mutant Cable comes back in time to kill him. They fight, because that’s what heroes do when they meet each other, then they both try to save Russell and their families in different ways. Fourth Wall Breaking and antics ensue. I liked Deadpool 2. I realize in editing this (fourth wall break!) that I sound a bit negative, but no, this movie his pretty hilarious, and it gets a lot of details right. It also has a lot of real emotion, which is important when you’re writing a hero that doesn’t take a lot of things seriously: If he doesn’t care, why should we as an audience? I’m surprised with the amount of darkness they let seep into this movie. I should be that surprised, given that the first movie features a prolonged torture sequence in which Wade Wilson is broken down and eventually transformed into Deadpool. But here it feels a little different. There’s always been an element that Deadpool hates himself and this lays heavily on that. Some instances work a lot better than others. The trouble with Deadpool 2 is that it seems like there is a lot going on. There’s Deadpool’s personal (spoilery) quest, there’s the Cable/Firefist stuff, there’s another villain on top of all of that, and the timeline of it all seems wonky. For instance, in one of the best jokes of the movie (that’s full of some of the best superhero jokes, ever) Deadpool forms X-Force when he realizes that he can’t stop Cable and save Russell alone. This is great, it gives us some great moments and jokes, but it stops everything so that we can have a hiring montage, all while the world’s slowest convoy moves through a city so Cable can attack it. There had been a lot of good build up to that moment, and there is a lot after it, but its like an extended joke that needed to be put into place to keep up their joke quota. None of this should take away from how great this movie is. One thing I liked about this movie is how it got a lot of little details right: from a character’s costume, to little beats I didn’t pick up until my second viewing, this movie clearly knew what kind of story it wanted to tell, and there’s better plotting in a few minutes of this movie than there are in movies that would look down on this. And the performances are amazing, especially Zazie Beetz as Domino, a mutant who’s superpowers are “luck” and Russell, played by Julian Dennison. If there’s a Deadpool 3, I really hope they’re included, because they’re fantastic additions. Beetz really sells the idea of someone having “luck” as their superpower. That’s really the strength of these characters: the ability to reign things in when Deadpool: the character and the movie, go too far. Particularly Cable, who’s backstory is essentially the Terminator. It’s also good continued use of Josh Brolin as a Marvel villain, and a reminder that he should have been Apocalypse in the last X-Men movie. Overall, this is a fantastic movie. I hope they manage to focus up a little bit for the inevitable Deadpool 3, which the writers and producers are currently claiming they don’t want to make as they roll around on their giant pile of money. Maybe we’ll see them all again in the rumored X-Force Movie. But this is a nice reminder that maybe we shouldn’t take things quite as seriously.